Unless you've been living in an internet-free cave you'll be aware that the Super Mario 30th Anniversary is almost upon us, with 13th September being the big day. Super Mario Maker arrives on 11th September to kick off that celebratory weekend. To celebrate we thought we'd revisit the key question for any Nintendo fan - which is your favourite Super Mario platformer? We ran this poll a year ago with incredibly close results, so figured a re-run for the big Anniversary is worth a look. With so many outstanding games to choose from it's a difficult vote. This time around, to slide any controversy over to Nintendo, we've taken the game list from the official Anniversary website's 'History' page. That means core games only, no re-releases, and not even all of those with 'Super Mario' in the name that actually featured other characters; that means no Yoshi's Island or Wario Land. Both were in our previous poll but won't take any votes this time. That said, we are adding Super Mario Bros.: The Lost Levels as that should be included on Nintendo's website, in this writer's humble opinion. We'll be continuing with lots of Mario-related content in the coming week, of course, including an article for the results of this poll. Without further ado you can vote for your favourite below - which is the best? Which is the best Super Mario platformer? Super Mario Galaxy 2 for me. Since we're choosing from them all I had to be honest and vote Galaxy. But SMB2 holds the most special place in my heart. "Super Mario World" for me. The perfect "Here, this is what the Super Nintendo can do that the NES could not" tool and an wonderful game on it's own. It will always be Super Mario World. Sorry. Has to be Super Mario World for me,with Galaxy close behind and SM64 in 3rd.64 blew me away like no other game had done before,Galaxy was the most magical game I'd ever played but SMW is pure platforming perfection and as timeless a game as you will ever play.If Yoshi's Island was there I would have picked that but it's a toss up really,they're both perfect. Super Mario World. That's just the objective truth, only utter fools can claim otherwise. The fact that you said "platformer" implants a bit of a bias. I think SMW is the best platformer overall. But I think Galaxy is the best game overall. It just doesn't have as many platforms!! I'll be the weird on and say Sunshine. I really love it, no matter how much hate it gets. Also, Super Mario 3D World in second, Mario World in 3rd. How could it be anything other than Super Mario World? I voted for Super Mario World. Super Mario Bros 3, SMW2 Yoshi's Island, Sunshine, and the Galaxy games are awesome as well. 3D World for me. So much variety, so many surprises, and the best and most fluid control in any Mario game to date (not to mention a fantastic soundtrack), it's my favourite without a doubt. Honourable mentions to Galaxy 2. Super Mario World, the game I grew up with. SMB3 just doesn't do it for me. Galaxy for me. I love Super Mario World but I prefer 3D Mario to 2D Mario. This is rigged, how is Supet Mario World winning? says despite voting Super Mario World out of nostalgia sorry, that was my first console video game, just surprised so many other people are voting for it! I've voted Super Mario Galaxy 2 but it surprises me that New Super Mario Bros. U hasn't received a vote. It is a very good platformer and the best of the New series. i personally love galaxy 2. it's one of my favorite games of all time. but seeing super mario world in the lead is fine too, it's without a doubt my second favorite mario game. Just got to be Super Mario World. It's just got so many secrets and stuff. I wish that my first choice, Yoshi's Island, was on this list. Nevertheless, I gotta go with Super Mario World. I have many fond memories with that game and no other Mario game can compare, in my opinion. @manwithoutfear Actually, we always have a favorite child, it's just that it makes us feel bad about it or we just refuse to think about it... because we already know there is "a chosen one". First Mario in Handhelds, First Apperar of Daisy, and specially, exceptional Soundtrack! Super Mario World without any doubt, best and most complete game of Mario, I remember playing through the game several times and still having a blast every time. Went with Super Mario 64. I hadn't played it before I got my Wii so I don't really have any nostalgia. It's just an awesome game. Super Mario 3D Land and Mario Galaxy are awesome too. Never really liked World and while the original trio is good, I don't enjoy them as much as I used to. My pick was Super Mario World, as it was a defining game of my childhood and one that I would play again and again on my cousins' SNES. Galaxy is a close second, and if there had been separate polls for the 2D and 3D entries, that also would have received my vote. Super Mario Land 2! My favorite by far, and so underappreciated! I never cared for SMB3 and SMW. Super Mario World will always win, even though Super Mario Bros. 3 is the better game. That's the way it will always be. I still think SMW is a fantastic game, but it just isn't quite as varied or challenging as SMB3 in my honest opinion. thats a tough one... toss up between 3, 64, and Galaxy for me. So many Super Mario World and Galaxy fanboys here. Don't you know that Sunshine and SMB3 are clearly superior? Without this games, World and Galaxy wouldn't existed. Just saying. MARIO GALAXY 2 FTW! It's my favorite game of all time! 3D World is a close second. I'm not voting for something just 'cause nostalgia. @enderboy221 I'm with ya, Sunshine rocks! I obviously picked Sunshine for my vote, but Super Mario Bros. 3 comes in 2nd, and Super Mario 64 gets third place for me. NSMB is the obvious choice. Super Mario 64. 3D Mario platforming fundamentals, at their best. Sunshine is a close 2nd. Galaxy. But SMB3 is my favorite 2D Mario game. My first consoles were DS and Wii, and since then I got a 3DS, and all the NES Mario platformers for VC. Of course my favourites are on Wii. If I get right down to it though, Super Mario Galaxy is easily my favourite. I sadly STILL haven't played SMG2, but I'm planning on getting it soon. I have to go with the only one that had me hooked until I fully 100% completed it and that is Super Mario World. You have to separate 2d and 3d. 2d- Super Mario World with SMB2 coming in second. 2 was just so radically different from the others and that makes it special. 3d- Galaxy or Galaxy 2, the level design is superb. I'd probably give the nod to Galaxy because of Rosalina, she's basically not there in 2. This is what I came out of my Internet free cave for? That's it, I'm going back in. Super Mario World is the very first video game I can remember playing (though my parents did have a ColecoVision). This and Zelda aLttP will probably always stand at the top of my favorite games list. That said I can appreciate how technologically superior the newer games are, and the advancements that older games have brought. Super Mario World will always be my favourite, but I'd never say no to playing Mario 3, Mario 64, Mario Galaxy 2 or Super Luigi U.
I was torn between Super Mario Bros. 3 and Galaxy, but ultimately nostalgia won out and I picked 3. I have gone back and played that game more times than any other Mario game, SMW included, and Galaxy (haven't had the chance to play Galaxy 2 yet but I hear its even better) is definitely the best 3D Mario platformer I've ever played, I mean, it made me go back and appreciate Super Mario 64, which I absolutely hated for nearly 18 years. Definitely Super Mario Bros. 3. No question. Man, that is tough to choose. I picked SMB3, but in reality, for me it's a 3-way tie between that, SMW, and SMG1. Super Mario world. The best and even the poll says so. Super Mario Bros 3 is the best because that game is the ONLY one that actually satisfied hype. Super Mario World may have had better hardware, but Super Mario Bros 3 expanded the Mario Bros universe to excellent effect, giving a video-game experience that was so rich; the game expanded even into a 2-player mode! (I played the GBA versions of both Super Mario Bros 2 and Super Mario World, both having similar sound and graphics. Super Mario Bros 3 won.) Then again, Super Mario Bros 3 pushed the graphics into almost next generation! I can't disagree with my heart here. I love SMB3 and World, but the original Super Mario Bros. spoke to me more than any other title. It embodies what people love about video games. It isn't about the gameplay, or the power-ups, and especially not the graphics. It's about the memories a game creates for the player. Super Mario Bros. was the first game I ever played and beat, and I still enjoy it to this day, and I'll always remember that moment I finally saved Princess Peach for the first time with my big brother cheering me on. I don't love Super Mario Bros. because I love video games; I love video games because I love Super Mario Bros.
Super Mario World over here, though Bros. 3 is also awesome. Super Mario Bros 3. Will always have a special place for me,I beat it so many times in my childhood. Way too hard. But it's 3D World, Mario World, Galaxy, and Bros. 3. For me it's definitely Super Mario World, out of these choices. The world map, the excellent level design, the Koopalings, the epic last battle with Bowser, the excellent music (even if it's almost all made from the same tune! ), the wonderful graphics, the power-ups (cape!) and of course the introduction of Yoshi.. yeah, this is the greatest Mario platformer of them all for me. Had to go with SMW. I'll say that Galaxy is a very close second, though. Going to be the odd one and say NSMB DS. It got me into the franchise, and was so simple it was charming. The simple graphics, the fun level design, the Blue Shell powerup (BRING IT BACK! ), and the Star Coins. It was my first DS Mario game, and I loved every second of it. In my mind, 3D Mario games will always be superior to 2D Mario ones. I picked Sunshine since it's on the Gamecube. Super Mario World is a masterpiece. If i had to pick a second, I'd probably go with Super Mario Galaxy 2, but i like 2D Marios more. Super Mario Bros because that's what i started out with. After that it's Super Mario Galaxy and then New Super Mario Bros 2 (1st one I beat all on my own). Super Mario 64 probably. It was the first one I played and it still holds up. Of the slidescrollers it would probably be SMB3. That's easy, Super Mario Galaxy is the greatest video game ever created. @MitchVogel You mean the only right answer if Galaxy 1 wasn't on the poll. I'd have to say 3D World. I'm usually more drawn to retro games but 3D World has what I consider to be the best level design of all time and when you add the wonderful Mario style, 4-player co-op, fantastic graphics and superb music plus a crazy amount of content it has quickly turned into one of my favorite games of all time. Of course all the other Mario games are excellent too, especially World, Galaxy, Sunshine and Bros 2 & 3. @XyVoX Yeah, that seem pretty fair to me. @manwithoutfear I know right?......why can't @Nintendolife understand that all of them are just understand that they are all too good to even decide which one's the best? You know what? I'm not even gonna bother voting.....its ridiculous.....like voting your best friends or something. Atleast for Zelda I can sort of understand but Super Mario? How do you choose? For me I never owned a nes or snes as a kid (C64 and Amiga boy). My first Nintendo console was an N64, so Mario 64 will always be the one. However Galaxy 1 and 2, Super Mario World, Mario 3 and sunshine are right up there. Had to be Super Mario World for me. Close second would be SMB3 or SM64.... so difficult!! NSMBU at 1%? I never really got why people complained there were too many "new" super mario bros games. Theres only 4. The only one I didnt like was NSMB 2, but it was still fun. If it had a unique soundtrack, an actual reward for 1,000,000 coins, and difficulty, it would be much better. Anyway, NSMBU takes the cake for me because of the DLC. Why not SMW?...I just prefer the former. Same reason a lot of people chose SMW. Truth be told. I think there should have been 2 separate polls. One for 2D Mario Platformers and another for 3D Mario Platformers. Anyway-2D-New Super Mario Bros. U, 3D-Super Mario Galaxy 2. Never played Sunshine, though, and I got a feeling it would rank high from Youtube videos. Best: Super Mario 3D World. Blows away every Mario platformer before it. Worst: Super Mario 64. I hate the controls in this game, and never gotten used to it. And it's boring. Honestly, I can't choose. You have the 3D Mario masterpieces to contemplate on... and then comes the 2D Marios that not only defined your childhood, but are the calibers upon which 2D platformers are judged. @SuperWeird I kinda agree. Super Mario World may be great, but I don't understand how it's apparently the king of Mario games (at least, here on NLife). It's just another Mario with another art style. Yippee. Is it because of it's world map? Big deal. NSMBU has one. Far better, too IMO. Close call. I have Super Mario World tops, it's my first SNES game and it is phenomenal. I played it after owning a Megadrive and Sonic, and despite more simplistic graphics than Sonic the gameplay was on a whole different level. Not to mention that soundtrack - torn between the ukelele/steel band track and the rapid fire piano track, two of the catchiest game soundtracks of all time. Very close 2nd is Super Mario 3d World. I still haven't completed it yet but wow. It's very rare you sit back after doing/playing a level and say to yourself, "wow that level is pure craftsmanship". Glitch free, silky smooth, beautiful graphics, made me glad to buy a wii u. Favorite and best are not necessarily the same. Tough call between Super Mario World and Super Mario 3D World. I chose Super Mario World. @Artwark I agree, but NSMB 2 is a bit of a problem child... Can't say he is my favorite. I love Super Mario Bros. Deluxe. However, NSMB on DS was so fun! It was refreshing after remakes on Game Boy Advance for years. Also, Mario Galaxy. For me it is between either World or 64 with World edging it out by just a little bit. All of Mario's games are fantastic with the exception of a few in the New series but other than those you can't go wrong with a Mario game. My heart says SNES World.... But after starting galaxy 2 again 2 weeks ago... It has to be that. 25 years of gaming experience fine tuned and refined to a glorious celebration of all things Mario. . . Complete with new mechanics and incredibly realistic gravity system. Wow!!! Anyway, tough choice. I like World, but I really enjoyed 3 and Wii... I'll probably just pick World. @FLUX_CAPACITOR Hm, I don't know. I play the game, and all I see is yet another great Mario game. Nothing very mind blowing. And SMW's not there just because of nostalgia? Read the comments of those who picked the game; they'll most likely mention it was a game that "was a masterpiece" when they played it years ago. Super Mario Land 2: 6 Golden Coins was MY very first game but I voted SMB3 cause that's the one I played the most. I also would've voted Galaxy, 64, SMW, 3D World, NSMB...heck they're all pretty amazing games! Vote them all! Super mario 3D world for me, with SM64 and SMB3 following . Nothing's better than Super Mario World. Yoshi's Island is my favourite installment, if only for the amazing art style, but Super Mario World certainly is just as good a game. I picked NSMBW. Such a fun sub-series (sans NSMB2). I am so surprised to see Super Mario 3 has so few votes. But then I remembered that I am 30 years old and played it when it was new. It completely blew my little mind! SMB2, Super Mario Land, and Super Mario World are my favourites, but I went with Super Mario Land because it's so short and sweet with such great music, and as one of the first GB games it was so mind blowing to be able to take it with you and play it anywhere. @FLUX_CAPACITOR Just to be very clear; I'm not saying World is not deserving of the top spot at all. I'm just saying it's up there with other Mario masterpieces, and that's it. I don't think there's much in World that makes the game edge out the others; if any, it's already countered by what the other Mario games bring to the table. But like you said, it's only a matter of opinion. If a lot of people see Mario World as the definitive Mario, then fine, I respect that. No contest, Super Mario Bros. 3. It has been my favorite game of all time for years until Shovel Knight. Mario as we know him and his universe was firmly cemented by SMB3. It is THE quintessential Mario experience. That last gauntlet leading up to Bowser's castle is still epic and the variety of worlds/suits is perfect. The hard part about choosing the best Super Mario game is not letting nostalgia get in the way. I remember the first time I saw Super Mario bros on NES, I thought it was the best thing ever. Same thing with World on SNES, that game was platforming perfection. And Mario64, I don't think a game ever wowed me as much as Mario's first 3D game. Playing them today however doesn't hold my interest for too long. I know I'm in the minority but Super Mario 3D World would probably be my favourite Mario game, just beating both Galaxy games. But you know, they're all good. Super Mario Galaxy, followed by Super Mario Bros 3 and Super Mario Land 2. Super Mario World and Galacy 2 will probably join those three once I finish them. Super Mario 3 of course! I remember when the SNES came out. I was probably around 7 or 8 years old at the time, and every year we drove from Dallas to New Orleans to have Christmas with my poverty-ridden grandmother, who would save her welfare checks all year just to be able to give me and my brother $50 at Christmas. That year, my parents got us a brand new SNES with Super Mario World. And I played that game non stop, every day the entire time we were down there, until I beat it. I still remember fighting Bowser that first time, taking the wind-up enemies and hitting his flying cup-o-copter. Yes, Super Mario World wins this one. But don't make the mistake of thinking the other games on that list aren't some of the best ever made, because they certainly are. "Yes, Super Mario World wins this one. But don't make the mistake of thinking the other games on that list aren't some of the best ever made, because they certainly are."" This. Thank you for saying this. I picked Galaxy because it is one of the funnest and most inventive games ever made. It's hard to compare the galaxy games to SMB 3 or SMW because they are so completely different. I would pick SMB 3 over Super Mario World even though I loved them both growing up. I think all of them are excellent games, but my personal favourite has to be Super Mario World. @JaxonH that's a nice story Jax. Mario really brings back some great memories for me as well. Super Mario 64 is and will always be my absolute favorite Mario game. Its a timeless classic just like the others before it. The levels were creative, open and varied. The gameplay still holds up well today. And Super Mario 64 is still the most groundbreaking game I've ever played. @ShadJV That is because not everyone thinks Galaxy 1 and 2 are as good. Galaxy 1 has the problem of depth perception. I still remember that there was a boss flying around a tree truck and I could not kill it because I could not perceive the 3D distance between me and the boss. It took me an annoying 40 minutes to kill it by trial and error. Galaxy 2 is better. But still, 2D mario is a lot of times better than its 3D counterpart (exception: Mario U and Luigi U, which are both rehash of the original games) - just look at the sales. Who voted for 3d land?? How comes Super Mario All stars isn't on the list? I would have voted for it. I have great memories from All Stars, even bought it again on the Wii. However as SMAS wasn't there I voted for Super Mario World in fact I am trying to find all 96 levels before Maker comes out, no easy task as I am at work in between. I have completed SMW finding all 96 levels four times, I've heard recently that if you collect all the dragon coins in every level you can get 100% but I think that is too hard to do it! I would have voted SM3 as my second choice but that game is hard and I would even go as far as saying it's harder than SM World. I like Lost levels but that game is just mean, very hard. However the All Stars version I quite like a lot because if you use all 5 lives on a particular level you go back to that level and not right back to the start of the world like on other Mario games on All Stars. Though I also love Mario 64 and Sunshine a lot...they have too many flaws to be in my top 5. SM64, though SMB3 is a close 2nd for me. Why this decision is so hard is because these games are so different. Smw is more suited for core gamers with the insane star levels and hard to master for casual players. Sm3dw is by far the best for multiple players of varying skill to have fun. Smg2 shows off creativity of the developers the most and best for one player plus sidekick. OMG, this is a tough question. I've been playing SMG 2 like crazy this week so I might be a little biased towards it. 2D Mario: Super Mario World. I was in a 3D mood when I voted. ...SM World, SM 64, Super Mario 3, 2. Them's the best. Despite everyone clearly knowing better... my love of SMW is based on it's secrets, tight controls and charm. For me, nothing matched it before or after. Galaxy style is great and but I prefer the traditional style more. SM3D World and Land are up there also - might be lacking on level design complexity for the most part but they're so damn fluid and fun for it! also really like Super Mario World and Super Mario 64 though. I'm surprised Mario Land has had less votes than NSMB2 and U. I voted for Galaxy but it was a very difficult decision. I was sure SMG would be leading but SMW Yay! Voted for it, even it was our first SNES game, thinking back it was so ...good. So much to do and stuff. So after that it is Galaxy and Super Mario 3d world...and land. Super Mario World. Still my favorite platformer to this day, it's as close to perfect as a game can get. As a fan of the 2D Mario games, I'm pleased to see that it's Super Mario World that is currently the top of the poll. That said, my vote went towards Super Mario 3D World, an incredibly fun game that perfectly transitioned the wonderful 2D Mario gameplay into the 3D form. Super Mario 3D World game was the game I truly wanted when Mario took a step into the 3D world, and whilst it's been a long wait, it's brilliant to finally be able to play a 3D Mario game that I actually enjoy. On other matters of the poll, it's rather sad to see Super Mario Bros: The Lost Levels, and both the Super Mario Land games have so few a votes. Super Mario Land 2 was perhaps my first Nintendo game I ever played, and Super Mario Bros: The Lost Levels was my favourite of the 2D Mario games (well, the version of it that you get to play on the Super Mario All-Stars pack at least). I had to be in the 1% that voted New Super Mario Bros, didn't I? I'm of an age that my first console was an NES and my first game was SMB. Each iteration got better and better but it wasn't until SMW came along that finally gaming perfection was born. To me the 16bit era was when gaming come of age, and SMW is a symbol of that. @NightmareEater - by that logic SMB is clearly superior as NO Mario game would exist without it. Its hard. 2D versus 3D. 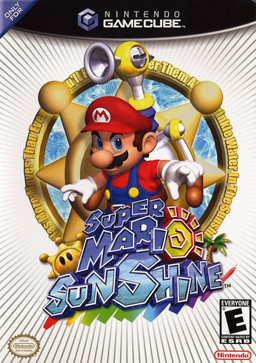 Super Mario bros 3 is the best 2D Mario, but Super Mario Sunshine is the best 3D Mario (in my opinion). Though Super Mario Galaxy is also very good. Overall I chose Super Mario Sunshine. But I feel sorry for the also great Super Mario bros 3. Super Mario Sunshine. They're all good games, but Sunshine is my favourite. Super Mario World. Then Super Mario Galaxy. Then Super Mario Bros 3. Then Super Mario 64 in that order. Super Mario 64 and Super Mario Sunshine!!! Super Mario World is the best! Great graphics and lots of fun! It's interesting....for me, Super Mario World is the clear winner of all the 2D marios. But for best 3D....Super Mario 64 felt so far ahead of it's time, and still controls easier than most modern platformers despite the crazy controller it released with. It was the first 3D platformer that felt like the camera wasn't constantly an issue for me. But Galaxies proved that there was still life in 3D platformers at all, and had really good use of motion controls - it was the game the system felt designed for. Galaxies 2 was arguably even better, but not quite as revolutionary at the time. And in the poll results, the 3D marios are all split while Super Mario World is clearly pulling ahead. Nintendo has had multiple amazing, genre-defining 3D platformers, and it's hard to pick which one's best. For 2D, I feel the choice isn't as difficult. Gotta be New Super Mario Bros 2. Collecting all those coins was so much fun. I always will remember Super Mario Bros. 3 as the pinnacle. It blew my mind that you could choose what level you wanted to go to next. The freedom of choice is impossible for me to forget, especially when I was so young, and had grown up playing atari games. It was Super Mario World for a very long time. Then I played Super Mario Galaxy and that stole its crown, which is quite a feat. The feeling you get playing it, discovering Rosalina's story, exploring the observatory and the feeling that the observatory actually links with the galaxy and planets you visit. I've played nothing like it since and SMG2 just couldn't stand up and reach the heights that Galaxy did. 3. Super Mario Bros.: The Lost Levels / Super Mario Bros. Completely agree. The 8-bit era saw a lot of great foundations laid for future games but it was the 16-bit era that is, imo, the true golden age of gaming and SMW was definitely at the forefront along with A Link to the Past and Super Metroid. So many great choices, but I'll have to go with Super Mario 64, It's still my favourite "Main" Mario game. How many times has this question been asked already even on this site? I gave my vote to Galaxy 1, since that at least has some chance of winning, unlike my real favourite, NSMBU. Same here except it's SMB3 for me. I want to vote for Lost Levels or Sunshine, one of the ones I really enjoyed and know won't get a lot of votes, but I know full and well that it has to be World. Most likely, it always will be. I'd vote for Super Mario World, but my top pick was Super Mario Bros 3...which introduced the map and some really cool power-ups...plus, introduced the Koopa Kids and the Air Ships. Plus, who could not love getting in a shoe and jumping around spikes! Super Mario Bros. 3 for the win! Mario Galaxy and 64 are both above and beyond most other games, but ehhh I'd say I had more fun with 64's openness. This list is whack.. What's the point in limiting it to Super Mario?? I guess because they knew Mario Bros., the original, would destroy the competition. Spent a lot of time playing that as a little tike on the Atari 2600. Anyway, voted for Galaxy. Played it for the first time in the arcade a few years back and it was still great fun.. I was just thinking this morning about a list like this and realized that my all time favorite is Super Mario 64 DS. Crazy enough, a list like that pops up, but ironically doesn't have my favorite as an option. Here I chose 64 because, its kind of the closest, but in reality its not how I feel. I think the DS version brought way more because you could have it on the go, and with different characters etc. a WAY better game in my opinion. The rest is difficult to put in order. Super Mario World though was the first I grew up with, and I somehow find it very overrated, even though I love the game, of course. My opinion hasn't changed since the last time this poll has been done, Sunshine is still the best and the only thing that could possibly dethrone it is Super Mario Maker. SMM for me or is that cheating? I love how literally nobody voted for any of the games in the New Super Mario Bros series. Oh, and Super Mario World for me! Always glad when that beats Mario Bros 3 in any poll. Super Mario World is one of the best games of all time. So simple.... I find it unfair to compare it to more recent games like GTA V (which I consider one of the best of recent years), but I get more joy and fun out of World than out of many of the newer games out there. 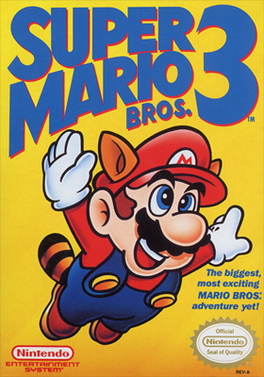 Super Mario Bros. 3. But it's kind of weird for me to chose between 2D and 3D games. Super tough choice. SMW holds the most special place in my heart being my first game ever PERIOD... But Galaxy was just so great it easily deserves the top spot. Super Mario Galaxy 2 and Super Mario World are my favorites. Also I don't think you can compare these different sub genres. Most of these games are 2d platformers but a couple of them are 3d adventure platformers and some are linear 3d platformers and one of them fully emphasizes multiplayer. The subgenres make for very different experiences. While Super Mario Sunshine is my favourite adventure platformer, my favourite 2d Mario platformer is probably Super Mario Bros. or New Super Mario Bros. U. But I can also appreciate the multiplayer focus of Super Mario 3D world and the fusion of genres that Galaxy was. What a brutal poll.. but I will try my best to vote for my favourite! Should rename the poll to which game are you most nostalgic towards. The galaxy games are objectively the pinnacle of the series. I have great memories of playing NSMB on the DS late at night up until morning. To me, SMB3 is not only the best Mario game, it's my favourite game of all time. In second place is SM64, but I should also mention that the Galaxy games are pretty much unplayed so it might change when I play those games thoroughly. Overall I'd say that the best Mario platformer would have to be Super Mario Galaxy (2 is excellent but it's mostly a copy with Yoshi). Super Mario Galaxy revolutionized Mario platformers with creative gameplay, a great story, and graphics that were pretty good for Nintendo at the time. For the older games I actually preferred Super Mario Bros. 2 (bring on the haters). It was the first game that allowed you to play as Mario, Luigi, Peach, and Toad. Each had their own special abilities which carry on to this day in new Mario games as well as Super Smash Bros. I vote SMB3. Super Mario World is a very close second for me. My favorite platformer is Super Mario World, but I gave my vote to Super Mario Galaxy 2, because of the soundtrack and the story. Mixing 2D and 3D...this poll is too difficult. and, people who voted galaxy, have never played galaxy 2. Can't decide, it's a toss up between either Super Mario World or Galaxy. 64 will always be my personal favourite though. Still my favorite game of all time!!! The music from World is still stuck in my head today and I was a Sega fanboy growing up. Stunning game. Super Mario sunshine all the way.